Here at Around the Pound, there’s nothing we love more than a well-designed tote to carry our precious cargo. 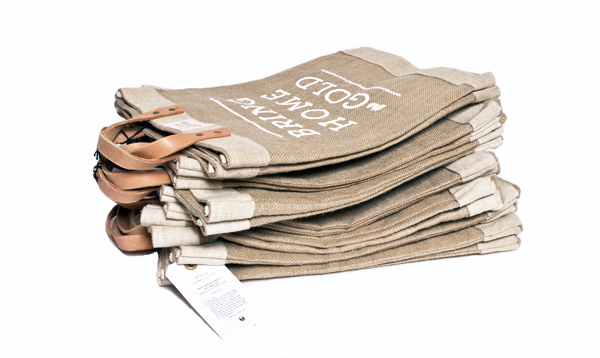 So, when the opportunity arose for us to collaborate with APOLIS on our very own market bag, (coincidentally made out of 100% Golden Jute), we knew it was a perfect match. We fell head-over-heels for APOLIS after a visit to their Common Gallery in sunny California, and the rest they say is well, history. APOLIS (a-pöl-is), meaning ‘global citizen’, is a Los Angeles based lifestyle brand that strives to bridge commerce and economic development worldwide. As part of their Bangladesh Project, our Golden Market Tote has played a role in providing employment for women within the tiny South Asian country, an initiative we’re extremely proud to be a part of. We partnered with our favorite creative team at Stitch Design Co. to design a logo that would capture the essence of The Gilded Lobster, while allowing the craftsmanship and natural details of the tote to shine through. As always, the result of their work is the gold standard in our book. Head over to our shoppe, The Captain’s Catch, for more details and to order your very own, guaranteed by our Captain to ensure you always ‘Bring Home the Gold’. Leprechauns aren’t the only individuals with a knack for discovering a pot of gold. 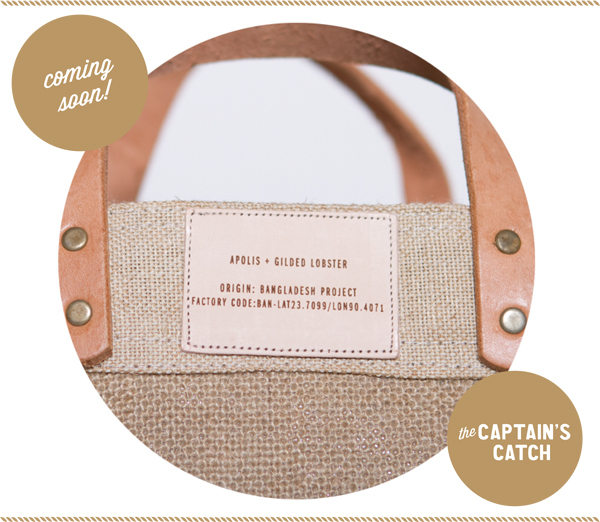 The Captain’s back, and he’s got quite the catch. While we work to get this treasure off the dock and into the shoppe, tune in for updates on the arrival of this very golden collaboration.